We had a blast kickin' with Jeru this weekend. He tore the roof down and slayed all suckers at The Terrace this past Friday at the Breakbeats & Rhymes Radio 3-Year Anniversary. Once again, it was a family affair with Rebels To The Grain, Zoolay, Esco, DJ Lord Ron, DJ Ralph M and the rest of the crew. 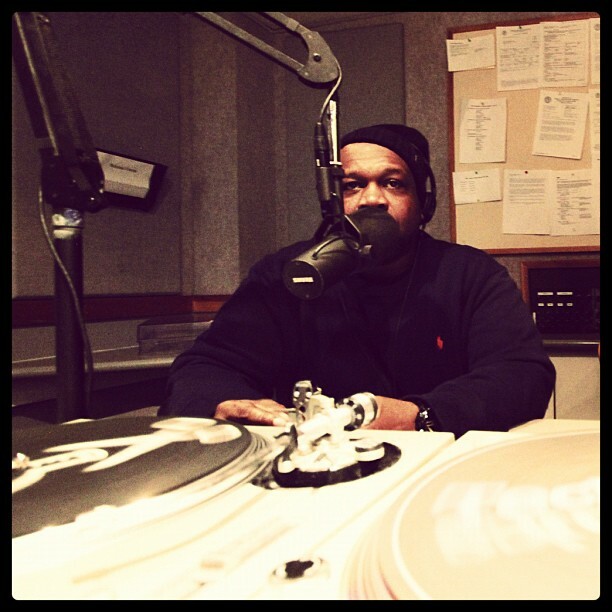 We caught up with Jeru the following night at the Radio Station. I walked in to see everybody crowded around Jeru at the roundtable as he shared stories of touring, Hip Hop, foreign flicks and just life. 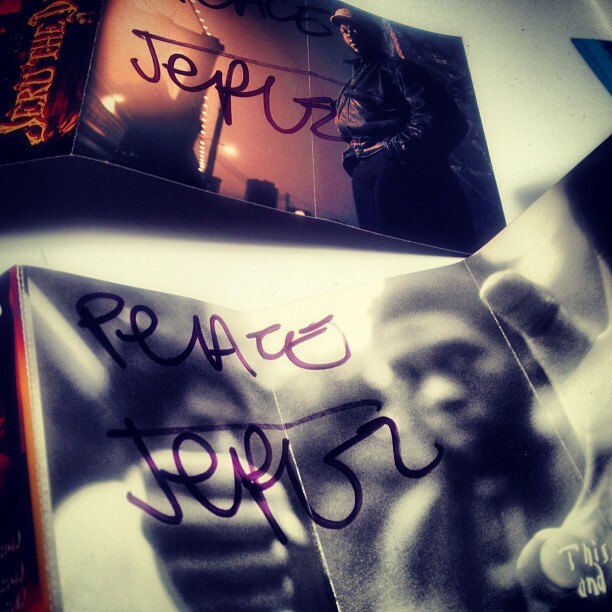 You know it was mandatory to get a few joints autographed. First thing he said when he saw the cassettes was "Yo, I still go all of mine." What a refreshing thing to hear! 2 hours went by like minutes and next thing you know, he's on the air droppin' more jewels on us. The man never hesitates to share knowledge and wisdom with anybody willing to listen. Make sure you peep the archives HERE. Check after the jump for a short clip of the show. 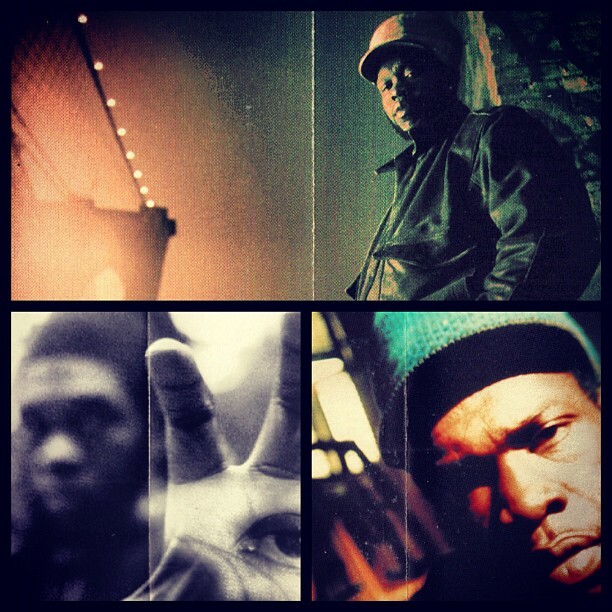 Check out how Jeru slays the suckers who try and challenge him to a rap duel in the middle of his show. This is one some real "Battle without Battling" Bruce Lee ish right here. Suckers take note! On a side note - It's Damaja not Damager!